● The report found that while cask ale drinkers wanted choice, licensees were changing their cask beer ranges quicker than drinkers liked or wanted. One in three cask ale drinkers thought a guest ale should be on the bar for at least a month, against only one in 12 licensees who would keep a guest ale on that long. Conversely, half of all licensees thought a guest ale should be on the bar a week or less, against barely one in five drinkers. ● Nearly one in five cask ale drinkers only tried it for the first time in the past four years. ● More than 10,000 pubs held beer festivals during 2012 – that’s getting on for one in six of all pubs, and one third of all pubs that serve real ale. ● Almost two thirds of licensees (63 per cent) who sell cask ale say cask ale is starting to attract younger drinkers into their pubs, and 61 per cent say cask ale is attracting women customers. ● One in five (20 per cent) of cask drinkers are aged under 35, only fractionally lower than the percentage under 35 for beer drinkers as a whole (21 per cent). ● Among people who have tried cask ale, the number who say it is their main drink has gone up by two thirds in the past year, from 6 per cent to 10 per cent. ● Two thirds of men have tried cask ale, and one third of women. Nearly six out of 10 – 58 per cent – tried it when they were under 25. When non-cask drinkers were asked what would make them try cask ale for the first time, 55 per cent said “nothing”, though 25 per cent said “free samples”. Not one person answered “stylish glassware”. ● On average, cask ale pubs stock 3.8 brands. ● Of all those who have tried cask ale, 90 per cent had heard of stout, although only 68 per cent had tried it. The most popular style was bitter, with 75 per cent having tried it out of 88 per cent who had heard of it. Only 72 per cent had heard of IPA – fewer than had heard of mild (75 per cent), though the same number had tried both drinks, 56 per cent. Half of cask ale drinkers had heard of Golden Ale, and 32 per cent had drunk it. ● Golden ale is the fastest growing cask ale style in the country, more than doubling its share of the market since 2008 and gaining 6,000 new stockists in the past year alone. ● Willingness to try new beers drops with age: on average, 18to 24 year-olds are likely to choose a beer they have never seen before 24 per cent of the time. This falls to just 10 per cent of the time for those aged 55 or over. ● “Craft beer” as a term is much better known in the trade than outside it: while 77 per cent of cask ale stockists have heard the term “craft beer”, only 37 per cent of all pub-goers are aware of “craft beer” as a concept, and 47 per cent of cask ale drinkers. ● Established cask ale brands from regional brewers are considered to be ‘craft’ by drinkers as much as if not more than newer breweries and imported beers. It doesn’t fit in with the aging cask beer drinker vs the young craft keg drinker narrative. Perhaps the young craft beer drinker drinks craft cask when there is no craft keg available, which is exactly the case more often than not. 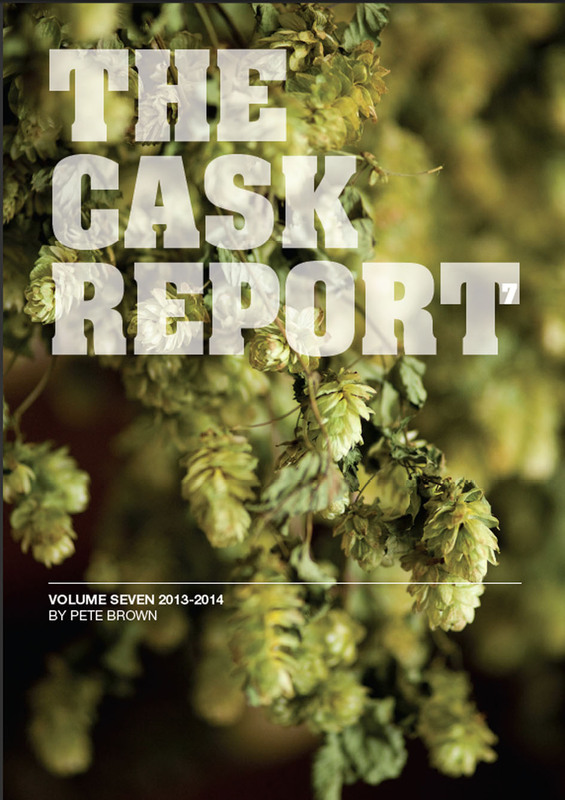 The latest SIBA report quotes “craft” keg as being around 3% of their members’ production,cask ale being over 80%. I was dismayed to see in a Castle Rock pub “Our first ever craft beer” is on sale.What do they think they have been brewing since starting up the brewery? Why do people think that the term only applies to the kegged version? “Craft” is an American term which can’t exactly be pinned down but seems to be anything not produced by one of the giant brewing operations. Their limit of 6 million barrels a year to qualify as a “craft brewery” seems ridiculous, it’s a lot of beer to make by hand! By their thinking , brewers such as Fuller’s, Timothy Taylor’s and Adnams would be firmly classed as craft brewers. I’d have thought it would be the other way around. When I’m out drinking, I’m looking for good cask stuff. If it’s not available I might look at keg.